The Association of Surgical Technologists (AST) members have several opportunities to seek assistance when pursuing their surgical technology education in CAAHEP-accredited surgical technology programs. 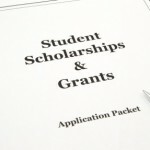 Scholarships are awarded for students as well as to current surgical technologists, who are pursuing advanced education related to the profession or who are participating in medical missionary work. More information can be accesed here. The purpose of the scholarship is to encourage and reward educational excellence as well as to respond to the financial need demonstrated by the surgical technology student and offer assistance to those who seek a career in surgical technology. Applicants must be currently enrolled in an accredited surgical technology program and eligible to sit for the NBSTSA national surgical technologist certifying examination. Be sure to fill in the information on the student application that requires the CAAHEP school code or provide proof of ABHES surgical technology program accreditation. Applicants must demonstrate superior academic ability. Applicants must have a need for financial assistance. In addition to providing scholarship assistance to surgical technology students, The Foundation for Surgical Technology is also dedicated to helping practitioners (who are not educators), advance their education and provide assistance to individuals who volunteer for medical missionary work. A member is eligible to receive this award one time only. All applicants must be active AST members with currency. All applicants must provide a description of their membership history—join date and any AST involvement. All applicants must provide official documentation of the educational program they are entering or the mission program they have described. All educational programs must include an official course outline, program fees and transcript. All mission programs must includes official receipts documenting the costs incurred by the individual and all costs must be shown in dollars. Two letters of recommendation must be provided.